Aging and weight gain can leave some people with unsightly fat under the chin that creates the appearance of a “double chin.” This submental fat can cause a person to be insecure, especially when it comes to taking photos or making public appearances. Many find this excess chin fat is unresponsive to diet and exercise and think their only option is surgery. However, an individual can steer away from surgery and attain their goals by taking advantage of KYBELLA®. This prescription medicine is injected below the chin to break down and absorb dietary fat. A doctor can help to determine if the individual patient’s condition will affect their ability to undergo KYBELLA® treatment. During KYBELLA® treatment, multiple injections are made into the fat beneath the chin, which will will cause the destruction of fat cells. Once destroyed, the fat cells will be unable to store and accumulate. KYBELLA® may require two to four treatment sessions to see changes in the chin area. The number of treatment sessions will depend upon the patient. Most patients undergo six KYBELLA® injection sessions to achieve optimal results. Each of these treatments should be spaced at least six weeks apart. More serious side effects of KYBELLA® treatment can include trouble swallowing and nerve injury in the jaw, which can cause an uneven smile or facial muscle weakness. After KYBELLA® treatments are complete, patients can expect a reduction in moderate to severe fat below the chin. 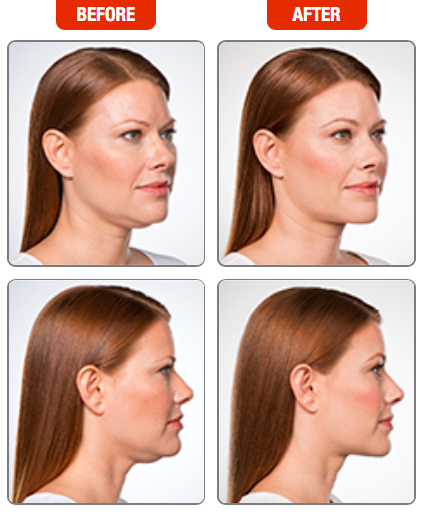 They will notice improved contours in the chin area, which is complementary to the rest of their facial profile. To learn more about KYBELLA® and how it can help you reduce fat beneath the chin, contact the office of Dr. Doezie today. 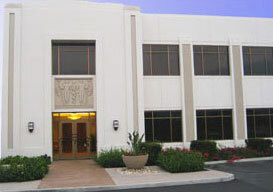 You can schedule a consultation by calling (949) 481-9850 or by filling out our online contact form.